As with any other field, journalists usually start developing their professional values during the early stages of their college education. It can be harmful to enforce unreasonable restrictions on what content student journalists can publish because not only is this unconstitutional, but it also limits the level of information that the student body receives. Student journalists will likely shy away from publishing controversial-yet-important news, such as thorough school-policy examinations or analysis of student satisfaction about different educational methods, if their advisers are afraid of being sued for libel. This can be an issue even if their sources are willing to go public and support them. The Lamp believes that student papers should enjoy First Amendment rights just as any other type of publication does. Many student bodies around the U.S. are not receiving vital information that their student publications could be providing, and this is a direct result of court rulings in favor of school administration control over student papers. In Hazelwood School District v. Kuhlmeier, the Supreme Court reversed the Eighth Circuit Court of Appeals’ ruling that the Hazelwood School District’s student newspaper had had its First Amendment rights violated. The case involved students in a journalism class at Hazelwood East High School near St. Louis writing articles about teen pregnancy and the impact of divorce on some students at the school. 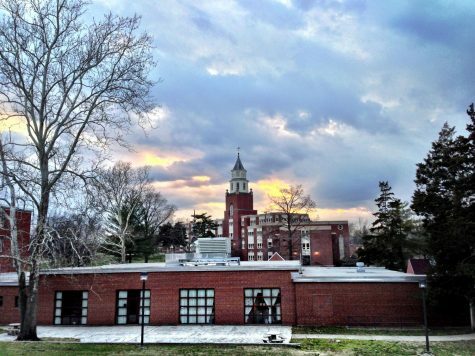 The student newspaper received backlash from school administrators. When courts rule in favor of administration control in this way, it undervalues student papers by taking away student’s ability to control content. Giving a school a good reputation is the job of PR departments — not student media. The Lamp spoke with Sally Renaud, a journalism professor at Eastern Illinois University, who has lobbied for press rights for high school students. “The idea of free press really is that there’s no prior review, that’s the key to everything. The students should be allowed to control editorial content, and that’s not to say that there shouldn’t be a good relationship with the administration, but that ultimately the decisions for editorial content should be with the students,” Renaud said. Renaud said she believes high school and college papers should have the same level of freedom in publishing information. “That goes back to underscoring the history of the free press of our country,” Renaud said. The Lamp hopes that courts will rule in the favor of a free press in future cases.